"It's about things that give people a chance to live big." Gaming was a part of Nevada's culture even before the state's inception. Many prospectors traveled to the area to search for gold in the Sierra Nevada and brought their games of chance with them. However, in the early 1860s, President Lincoln appointed Nevada Territory Governor James Nye, who held a vigilant stand against gambling, encouraging the territorial legislature to ban games of chance. In 1861, the territorial legislature instituted stiff penalties for running and participating in any game of chance. The measure was not very successful, though, and when Nevada became a state in 1864, the first legislature attempted to legalize and regulate gambling instead, only to fail. As a compromise, penalties for gambling were dramatically reduced with operators being punished mildly and players not at all. In 1869, the Nevada State Legislature finally succeeded in decriminalizing certain forms of gambling, and Nevada's gaming laws witnessed few changes until 1909 when the Progressive Movement finally succeeded in passing legislation banning nearly all games of chance in the Silver State. During the next few years, gaming laws relaxed, initially allowing specific social games and "nickel-in-the-slot machines" paying out drinks, cigars and sums of less than $2. By 1919, all cities and counties throughout the state were licensing card rooms that permitted social games such as bridge and whist, and during the 1920s, Reno became the state's gambling capital, with both legal card rooms and clubs offering illegal games. As the country entered the Great Depression, Nevada's conflicted feelings about gambling were finally reconciled. In 1931, freshman Nevada State Assemblyman Phil Tobin introduced Assembly Bill 98, which allowed for wide-open gambling. On March 19, 1931, Assembly Bill 98 was signed into law by Governor Fred Balzar, making a number of games legal, and thus taking small card games and illegal betting out of back rooms and side alleys. The legislation allowed the rise of the gaming industry and the regulated modern casino we know and enjoy today. Sources: Nevada Historical Society; Las Vegas Convention and Visitors Authority; Michael Green (Community College of Southern Nevada); David Schwartz (University of Nevada, Las Vegas Center for Gaming Research); "Roll The Bones: The History of Gambling" by David Schwartz; Gotham Books, 2006; and Nevada Magazine, March 2006. In the 1930s, gaming continued to grow throughout the state. The first licensees to take advantage of the legalization of wide-open gaming were existing bingo parlors, card rooms and small casinos already operating games of chance. 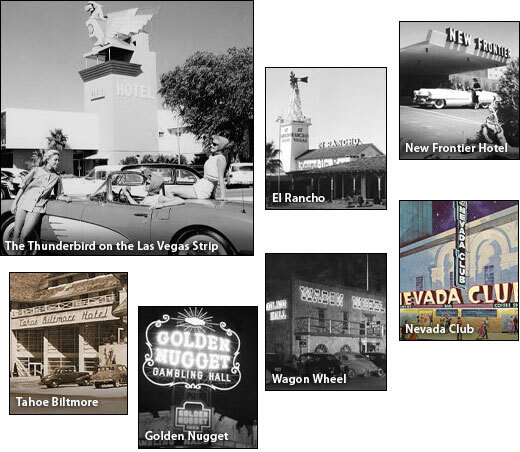 The first four licensees (Boulder Club, Las Vegas Club, Exchange Club and Northern Club) were located in Downtown Las Vegas, with many to follow in Reno and outlying areas. Although Nevada casino gaming would not grow much before the end of World War II, many new operators began to flock to Nevada to set up new gaming operations, including William Fisk Harrah, founder of Harrah's Entertainment (now Caesars Entertainment). Raymond "Pappy" Smith opens Reno's Harold's Club, the first casino to stress customer service and to advertise itself widely with "Harold's Club or Bust"
By 1940, gaming operations throughout the state were beginning to take hold. One of the most active areas was the emerging Las Vegas Strip. Many credit Benjamin "Bugsy" Siegel with creating the first Las Vegas Strip resort when he developed the Fabulous Flamingo. However, five years earlier (1941) Thomas Hull opened the 57-acre El Rancho Las Vegas on San Francisco Street and the Los Angeles Highway. Today, these roads are known as Sahara Avenue and Las Vegas Boulevard. R.E. Griffith and William Moore soon upstaged the El Rancho in 1942 with The Last Frontier, later known as The New Frontier. The Flamingo was originally conceived by successful Los Angeles nightclub owner and publisher of The Hollywood Reporter, R.W. "Billy" Wilkerson. Due to reported debts, Wilkerson was forced to sell, and it was Siegel who opened the Flamingo on December 26, 1946, and inherited the title as the man who "invented" Las Vegas. Even though it was not the first resort on the Las Vegas Strip, there is little debate that it helped raise the bar for what a Nevada hotel and casino could be. In 1946, casino development increased substantially with the construction of numerous properties, including the famed Golden Nugget in Downtown Las Vegas, Harrah's Club and Nevada Club in Reno and the Wagon Wheel Casino and Tahoe-Biltmore Hotel & Casino near Lake Tahoe. The Mapes in Reno followed in 1947, and The Thunderbird on the Las Vegas Strip in 1948. For years, gaming licensing was handled at the local and county levels. Taxes were determined by the number of games or machines in operation. However, in 1945, licensing authority shifted to the state level and Nevada enacted a new licensing program that, in addition to the per-game fee, collected fees based on a percentage of gross-gaming win. The first Nevada state tax on gaming was levied in 1946, securing 1 percent of gross earnings. Revenue totaled $670,000 statewide. By 1950, the state's population was just shy of 160,000 people. Casino and hotel construction flourished throughout the state, with more than 13 major casino openings. Besides the tremendous growth of the industry, the 1950s introduced what would become the example for all other gaming jurisdictions to follow when regulating gaming. By 1952, commercial gambling had eclipsed mining and agriculture to become Nevada's largest revenue-producing industry. As Nevada's economy became more and more dependent upon gaming as an economic engine, the fear of federal gaming prohibition and negative public sentiment grew, prompting the Nevada State Legislature to create the Gaming Control Board in 1955. A division of the Nevada Tax Commission, the board's primary purpose was to oversee the licensing and operation of Nevada casinos, all the while eliminating the unsavory elements that threatened the industry's existing and future integrity. In 1959, the legislature passed the Gaming Control Act, which established the Nevada Gaming Commission. The commission acted upon the recommendations of the Gaming Control Board and was the final arbiter of all gaming licensing matters. In addition, the gaming regulators created the now famous Black Book. The Black Book is a listing of nefarious characters and cheaters who are not allowed in casinos, and a direct result of Nevada's commitment to further protect the industry's integrity. Nevada's gaming regulatory system has been an integral part of Nevada's success and has become the standard upon which all other national and international gaming regulatory agencies are based. Nevada's "Black Book" is approved to keep casinos "clean"
By 1960, total gross gaming revenue reached more than $200 million annually and the state's population reached over 280,000 people. Gaming regulators began to enforce the Black Book, and casino operators continued to develop and expand projects throughout the state. 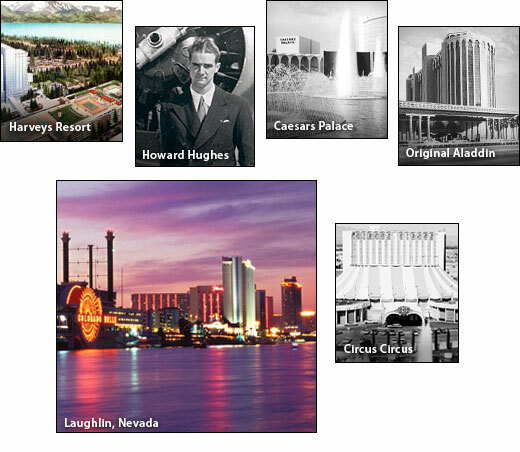 Harveys, Caesars Palace, Aladdin, Circus Circus, Four Queens and Landmark were only a few of the properties that opened their doors in the 1960s. The decade ended with Kirk Kerkorian opening the world's largest hotel and casino, the International (later the Las Vegas Hilton). Elvis Presley became the hotel's headliner, which established him as an eternal Las Vegas icon. One of the most important events in Nevada gaming history was the arrival of famed aviator, filmmaker and entrepreneur billionaire Howard Hughes. 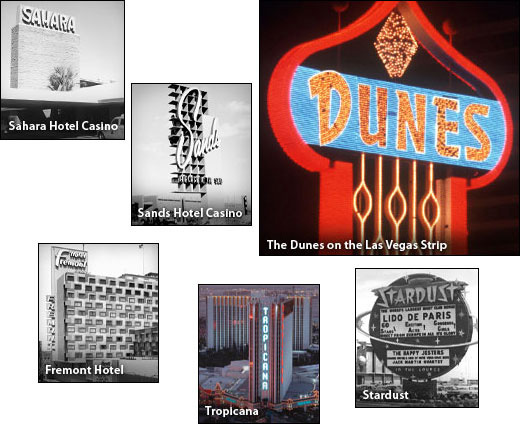 Upon arriving in Las Vegas, Hughes bought the Desert Inn, Frontier, Sands, Castaways, Landmark, Silver Slipper, North Las Vegas Airport, Alamo Airways, Harold's Club in Reno and nearly all available undeveloped land in the Las Vegas valley. Hughes finally stopped buying hotels and casinos when, in 1968, he tried to buy the Stardust. The United States Justice Department issued a monopoly lawsuit against Hughes, because he already had control of one-third of the revenue earned by all the casinos on the Las Vegas Strip and had become Nevada's largest employer. Nevada's political leadership embraced Hughes as his money, reputation and visibility provided further legitimacy to the gaming industry. In 1967, the Nevada State Legislature decided to allow public companies to own and operate gaming facilities without licensing each shareholder, which paved the way for the casino industry to become what it is today. The 1960s also saw the establishment of a new city on the border between Arizona and Nevada. Don Laughlin, former owner of the 101 Club in Las Vegas, flew over the tri-state area in his private plane in 1964 and liked what he saw. In 1965, he bought a boarded-up motel and 6.5 acres of riverfront property for $250,000. In less than two years the bar and motel, now called the Riverside Resort, was offering all-you-can-eat chicken dinners for 98 cents, play on 12 slot machines and two live gaming tables and accommodations in four of the motel's eight rooms (the Laughlin family occupied the other four rooms). A little-known fact is that the city of Laughlin got its name when a U.S. Postal Service inspector insisted Don Laughlin give it a name, any name, in order to receive mail. Laughlin recommended the name Riverside and Casino, but the postal inspector used Laughlin instead. By 1970, tourism had become Nevada's largest industry. In 1975, gaming revenues topped $1 billion annually and nearly 50 percent of Nevada's budget was supported by gaming-based tax revenue. 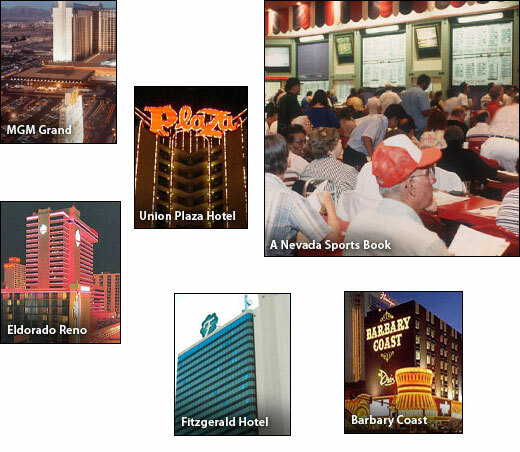 With the 1970s came significant growth in hotel-casino development throughout the state. Popular casinos including MGM Grand (now Bally's), Imperial Palace, Barbary Coast and Eldorado (Reno) opened their doors. In 1972, Harrah's Entertainment became the first gaming company to be listed on the New York Stock Exchange. The Nevada State Legislature established specific criteria for inclusion in The Black Book and lowered the sports betting tax, allowing for the proliferation of legalized Nevada-based sports books. By the end of the decade, Nevada had become the fastest growing state in the nation and increased gaming revenues by 150 percent. Vegas World opens on Las Vegas Blvd. In the 1980s, Nevada became the fastest growing U.S. state, as the population grew by more than 3,300 people a month on average and reached 1.2 million by 1990. The early part of the decade was a period of concern for both Reno and Las Vegas, because Atlantic City had legalized gaming in the late 1970s and ended the legal monopoly Nevada had for more than 45 years. In addition, the MGM Grand fire in Las Vegas and the Harveys Hotel and Casino bombing in Lake Tahoe provided a terrible rash of bad publicity for Nevada gaming operators. However, by the end of the decade, a Las Vegas icon took what was considered the state's biggest gamble by building a $750 million "mega-resort" and ushered in a new era in Las Vegas gaming. In November 1989, Golden Nugget owner Steve Wynn opened The Mirage to much fanfare, attracting attention from around the globe. The Mirage was considered the most elegant property in Las Vegas. Its exterior centerpiece was a manmade volcano with waterfalls facing the Strip entrance to the hotel. The theme carried into the casino and hotel with strategically placed indoor plantings, a white tiger habitat and a 20,000-gallon-aquarium, creating the illusion of a South Pacific paradise. While other hotels' primary focus was the casino, The Mirage's focus was providing a luxury resort experience. The opening of The Mirage sparked what was to be one of the largest regional construction and population explosions the United States had ever seen. In 1988, the United States Congress formally recognized but limited the right of Native Americans to conduct gaming operations with the passage of the Indian Gaming Regulatory Act (IGRA). Northern Nevada would ultimately feel the effects of reservation gaming upon California's acceptance of Native American gaming establishments in 2000. After The Mirage opened in 1989, Southern Nevada witnessed a decade-long boom, experiencing construction and population growth not seen in the United States since the Gold Rush of the 1840s and 1850s. More than 15 themed casino-hotels opened their doors throughout the Las Vegas valley, and there was a dramatic diversification of entertainment options, including theme parks (e.g. Circus Circus' Adventure Dome and the Las Vegas Hilton's Star Trek: The Experience) and stage production shows (e.g. Cirque Du Soleil and FX). Various properties exchanged hands, including The Frontier Hotel, Sands, Vegas World (Stratosphere), Holiday Casino (Harrah's) and Aladdin. New themed hotels such as Luxor, New York-New York, MGM Grand and Bellagio celebrated their grand openings, each with tremendous attention and excitement. In Reno, the Silver Legacy Hotel & Casino opened on Virginia Street in 1995. However, with the passage of California's Proposition 5 in 1998, casino-style gambling on Native American reservations was given an open door to compete with northern Nevada casinos. As Nevada entered the 21st century, nearly every state had gambling in one form or another and the increased access to Native American casino gaming was dramatically changing the way Nevada approached its tourism economy. By 2000, Nevada's population was more than 2 million, with nearly 7,000 people moving to Las Vegas each month. The resort industry was running strong up until the fateful day of September 11, 2001. Once considered recession proof, Nevada's resort industry showed its vulnerability and the state's budget suffered dramatically as a result of the tragedy. Many resort employees were laid off as U.S. travel became a trickle of what it was just weeks before. Hotel rooms were empty, entire areas of casinos were quiet and Nevada faced one of its greatest challenges: how to inspire travel back to the state. Through the efforts of the Las Vegas Convention and Visitors Authority, Nevada Commission on Tourism and Reno/Sparks Convention and Visitors Authority, Nevada steadily regained its position as the nation's favorite playground. Unfortunately, the damage was done. The state faced a budgetary crisis due to the reduced resort-related tax revenues, and it was not until 2005 that the industry regained its footing. Las Vegas' popular "Only Vegas" campaign, which used the now famous "What happens here, stays here™" tagline, found a new market of young travelers seeking a complete resort experience. Ultra lounges, mega-nightclubs and world-class restaurants began opening at a fevered pace, and Las Vegas continued to be the city where the rich and famous came to play. MGM MIRAGE acquired Mandalay Resort Group in 2005, making it the largest resort operator in Nevada. Soon after, Harrah's Entertainment acquired Caesars Entertainment, making Harrah's the largest gaming company in the world. 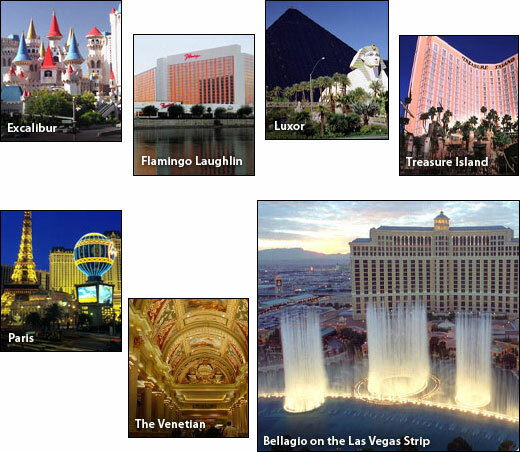 A number of properties opened during the 2000s, including, but not limited to, Wynn Las Vegas, Green Valley Ranch Resort and Spa, Red Rock Resort and Spa, THEhotel, Palms Casino Resort, Trump International, Encore, The Palazzo, M Resort, and ARIA (CityCenter). In northern Nevada, Reno experienced a significant population boom throughout the decade. The city began to embrace the area's plentiful natural surroundings and rebranded itself as a gaming and outdoor/adventure destination. The Nevada gaming and tourism industries continued to face challenges and new opportunities with the turn of the next decade. Some of the challenges were associated with the fallout from the Great Recession as consumer spending was tempered and gaming expansions moved forward in other parts of the world. While consumers were more cautious with their discretionary dollars, the total volume of visitors helped to support Nevada's gaming industry. With the new decade came emerging technologies and increased interest in interactive gaming. On February 21, 2013, the Nevada State Legislature approved Assembly Bill No. 114, allowing the state to enter into pacts with other states to offer internet-based poker, among other items. Nevada Governor Brian Sandoval promptly signed the measure into law, placing Nevada at the forefront of online gaming nationally and positioning Southern Nevada to lead the nation's gaming industry into the digital frontier. In 2016, MGM Resorts International broke ground on a new $375-million arena near New York-New York Hotel & Casino and the former Monte Carlo (now Park MGM). The arena allowed the city to bring larger events to town and ultimately led to the state’s first NHL team, the Vegas Golden Knights. The arena is also the home of UFC, which helps to drive international visitation to the area. With visitation to the area continuing to peak and the demand for hotel rooms increasing, further investments were made during 2017 and 2018 in the form of renovations, expansions and rebrands by MGM Resorts International. 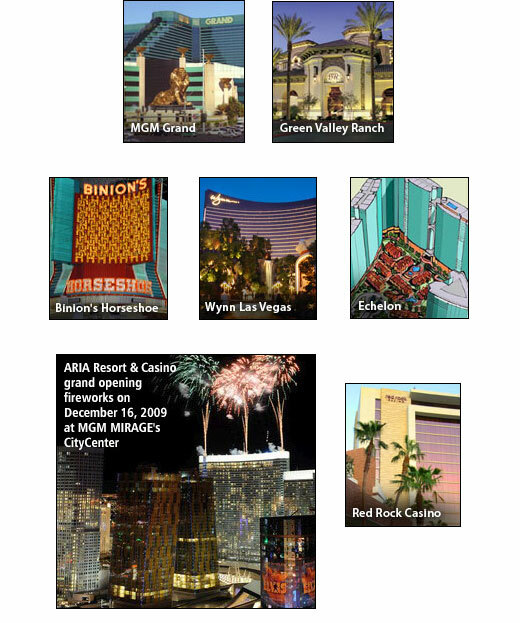 During this period, MGM completed construction of a new parking facility and the expansion of the conference centers at MGM Grand Las Vegas and the Aria Resort & Casino. Additionally, MGM completed the rebrand of the Monte Carlo into Park MGM. Other gaming operators completed renovations and expansions as well, including Caesars Entertainment completing the first phase of its remodel of the Flamingo’s hotel rooms, Wynn Resorts completing the construction of the Wynn Plaza and the Cosmopolitan of Las Vegas completing room upgrades. Renovation and upgrade activity was not limited to the Las Vegas Strip, as Station Casinos completed the renovation and remodel of Palace Station and the Grand Lodge Casino at Hyatt Regency Lake Tahoe completed renovations. 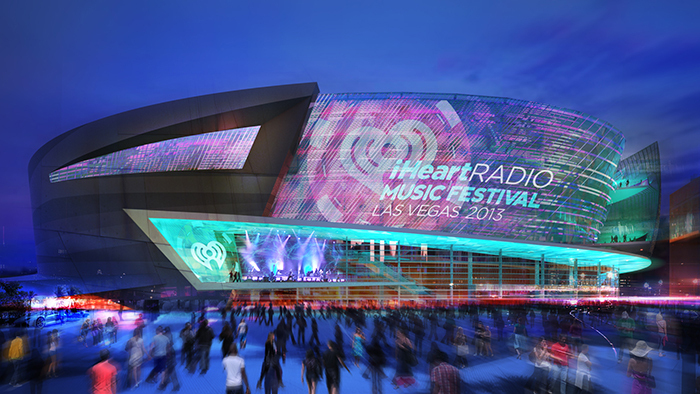 The $375-million MGM Resorts/AEG Arena broke ground in May 2014 to be completed in April 2016.